In December, 2012, Atheist Alliance International launched the world’s first Atheist Census, a global online project to count and capture a snapshot of the world’s secular citizens. 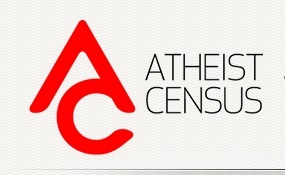 After getting hit with a denial-of-service attack 17 hours after its launch, the Atheist Census resumed operation and has been collecting data ever since. So far over 236,000 people have participated in the Census globally, and results can be broken down by country. By far the most respondents live in the United States, with 82,273 Americans responding to the survey. A majority of them, 65.1 percent, say they prefer to be called “atheists.” The second most popular title is “Humanist,” with 8.9 percent of respondents saying they prefer that name. A large majority (77.5 percent) of secular Americans report having come to atheism from a religious background in Christianity of Catholicism. Atheists are also a very highly educated group, with over 77 percent of self-identified atheists reporting that they have either a university or college degree or some postgraduate education. They are also a young group. Over three quarters of self-reported secular citizens are under the age of 45. Sixty-seven percent of respondents identify as male, and 32 percent as female. Country-by-country data is available at this link.